Maintaining a lovely and comfortable bathroom doesn’t always involve luxurious additions or a complete remodel. Sometimes, it can be as easy as keeping the space clutter-free. This can help you make the most of your bath’s available space, no matter its size. Cut down unnecessary stuff in storage. One of the first things you can do is to de-clutter. Go through everything in your bathroom—from hair and skin products to shower caddies. Divide them into piles of stuff you plan to keep, throw out, or give away. Old, unusable products or things that you generally don’t like should go into the trash bin. You can also give away unopened items that are still functional. While this step can take a bit of time, the renewed and spacious feel your bathroom can provide after will be worth the effort. Put items in their right place. This means leaving everyday essentials like soap and toothbrushes on the counter. Everything else should be within easy reach inside their drawers. You can also go for a built-in wall shelves from the expert in bath remodel in Rockford, MI, Rainbow Bath and Shower. They blend seamlessly with your bath space’s walls, while offering better and more convenient access to bath essentials. Clean and polish up. While tidying your bathroom products is an essential step, maintaining a lovelier bathroom doesn’t end there. Wipe down the sinks and mirror regularly, and sweep or vacuum the floor. 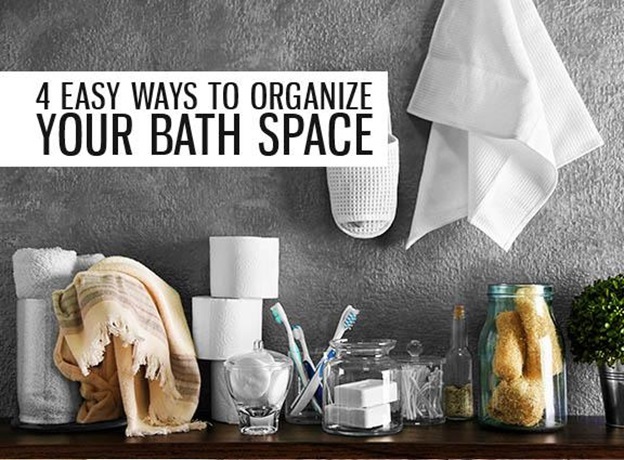 Cleaning up after yourself goes a long way to a more comfortable bath space. Add more storage. If you own a small bath, you can still put additional storage while maximizing available space. To accommodate other items, you might want to add taller, narrower cabinets or drawer organizers. You can also hang towel holders behind the bath door. It doesn’t hurt to consult Rainbow Bath and Shower, the expert in bath remodel in Allendale, MI, for more storage solutions, as well. Rainbow Bath and Shower is the reliable remodeling company you can count on for your bath upgrades. With our factory-trained and certified technicians, we’ll make sure that your home improvement project runs smoothly from start to finish. Experience a more organized and comfortable bath space when you turn to us. Call us at (844) 203-9777 or fill out our form today for a free estimate.